Mobile World Congress (MWC) is coming to an end, here in sunny Barcelona. This is always one of the biggest events in the tech calendar. Last year saw the unveiling of the Samsung Galaxy S7 and LG G5. 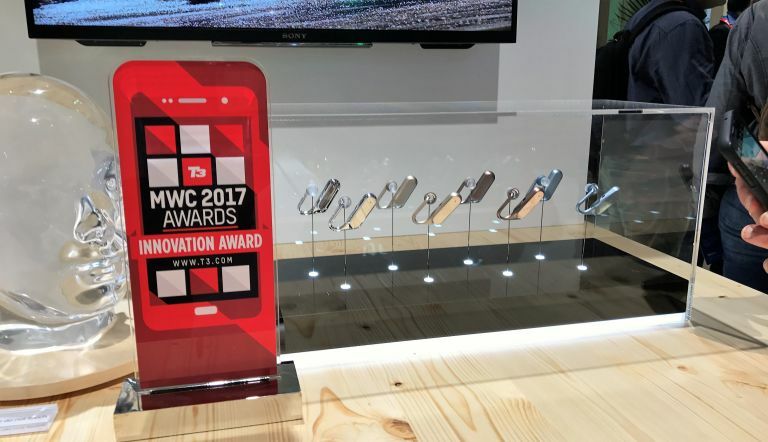 MWC 2017 has also seen some year-making gear launched, and because T3 loves to reward those who make the very best tech, we decided to launch the T3.com MWC Awards. Designed to officially recognise the greatest gear we've seen at the show, the Awards were presented by T3.com editor Dan Grabham and Future PLC's Adam Gilsenan. Unlike almost any other year we can remember, this was an easy decision. Hundreds of thousands of you interacted with us on Facebook and Twitter to say how much you loved the idea of the new Nokia 3310 by HMD. We'd never recommend it as a first phone, but as a second one to take to Glastonbury, why not? Again, only one choice here. Wearables were pretty thin on the ground this show, but it would have taken a superb device to prise the Award away from the Huawei Watch 2. Sony's Xperia Ear 'open-style concept' was the unanimous choice of our judges. Still at an early stage, Sony's new audio conducting technology will one day enable you to both listen to music and remote speech, and converse with friends and colleagues, at the same time. There's a lot of potential for devices like this that are sensitive to their environment, in work applications, leisure applications, and cheating at poker, like in Goldfinger. This is for the newest and most impressive unveiling of MWC, but it didn't go to a phone or wearable. Nope, while there were several worthy but more pocketable contenders for this gong, we plumped for something altogether more grandiose: Peugeot's sinuous and glistening Instinct Concept fully autonomous car. It looks fantastic and we can't wait to see more of it in the future. It hasn't been Samsung's most high-profile MWC, as it keeps its powder dry for the next Galaxy at the end of this month, but it still dropped a couple of excellent tablets. While the Galaxy Tab S3 impressed us big time, we've given this Award to the Samsung Galaxy Book. The 12-inch version is a stunning 2-in-1 with Super AMOLED display and dual USB-C ports. Want. As for best phone – the most prestigious award at MWC – there was only really one choice. Yes, Sony impressed us with its slow mo-ness, but in terms of complete excellence in a handset there could only be one, and that was the LG G6. The super-slim bezels. The wide-angle camera. The Quad HD+ screen. This is an exceptional smartphone. Check out all the rest of the launches at Mobile World Congress 2017.